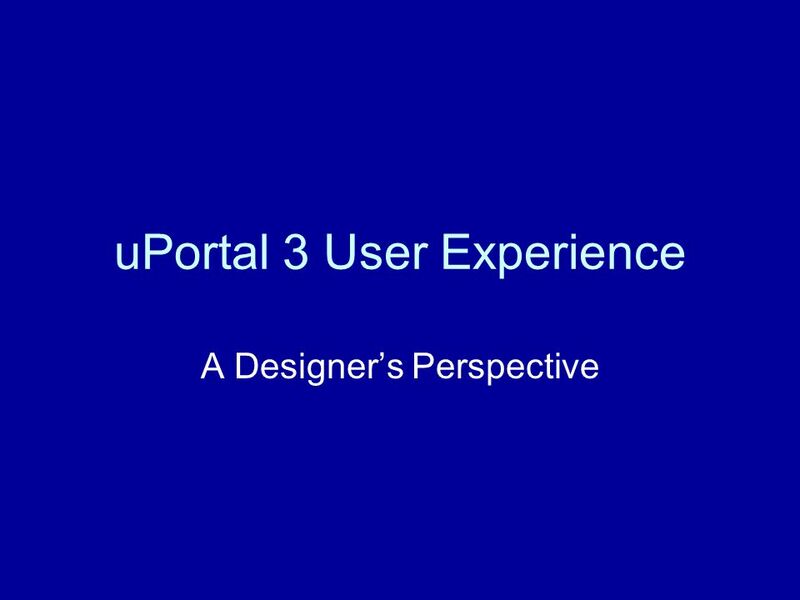 UPortal 3 User Experience A Designer’s Perspective. 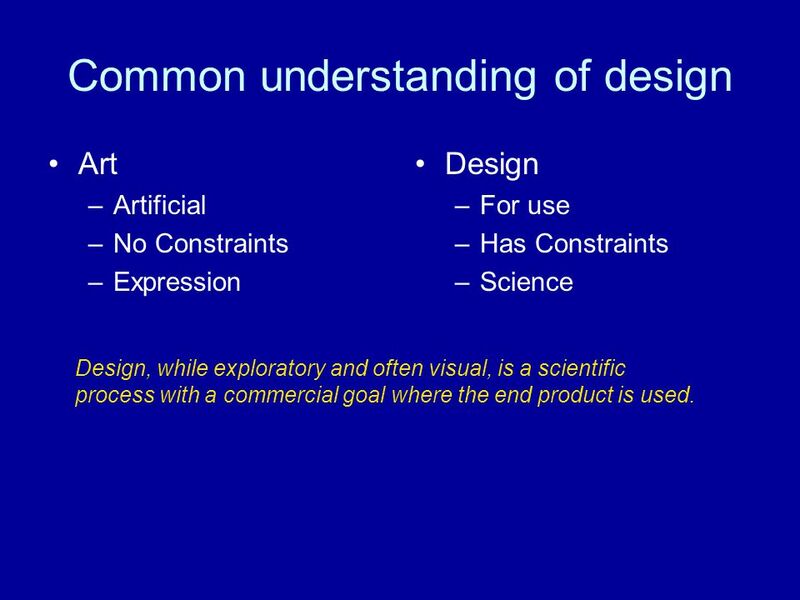 6 Common understanding of design Art –Artificial –No Constraints –Expression Design –For use –Has Constraints –Science Design, while exploratory and often visual, is a scientific process with a commercial goal where the end product is used. 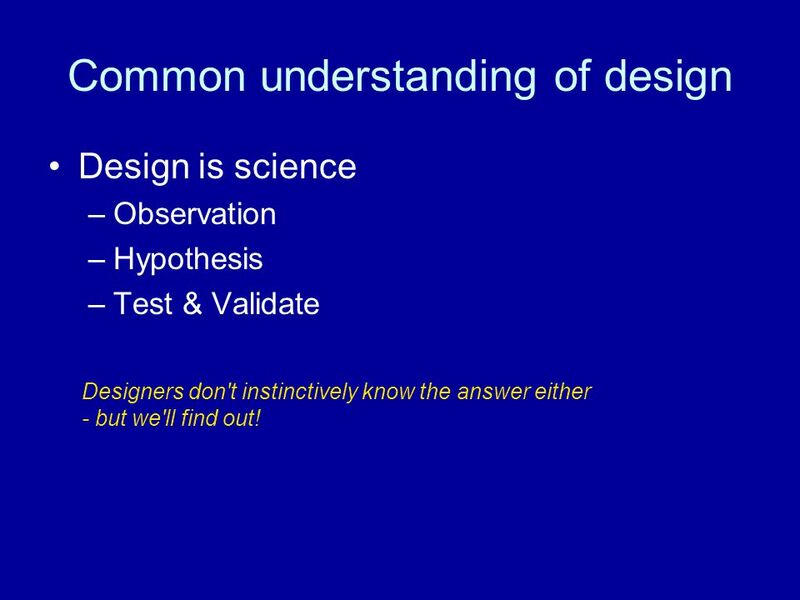 7 Common understanding of design Design is science –Observation –Hypothesis –Test & Validate Designers don't instinctively know the answer either - but we'll find out! 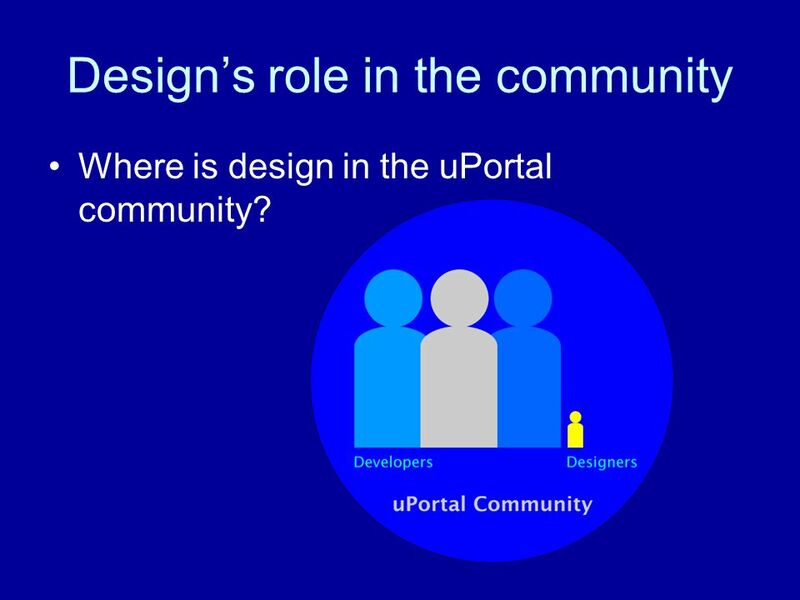 9 Design’s role in the community Where is design in the uPortal community? 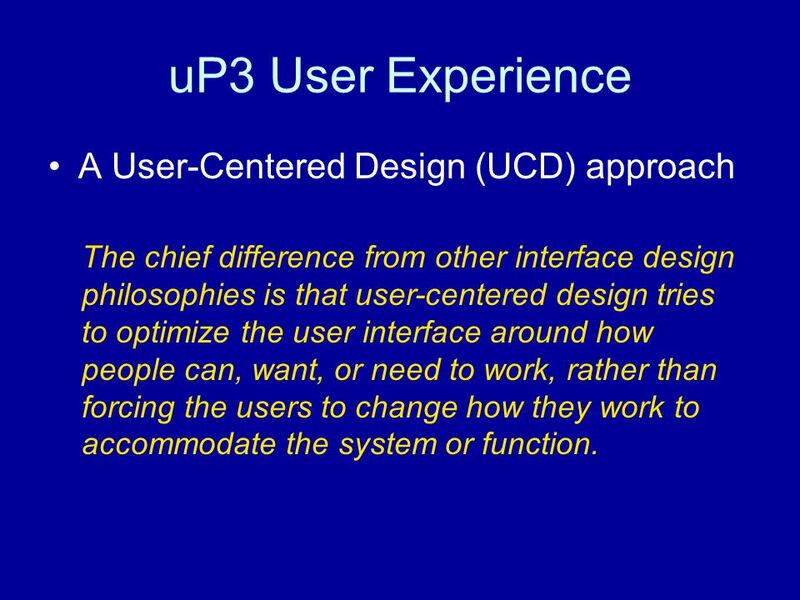 15 uP3 User Experience A User-Centered Design (UCD) approach The chief difference from other interface design philosophies is that user-centered design tries to optimize the user interface around how people can, want, or need to work, rather than forcing the users to change how they work to accommodate the system or function. 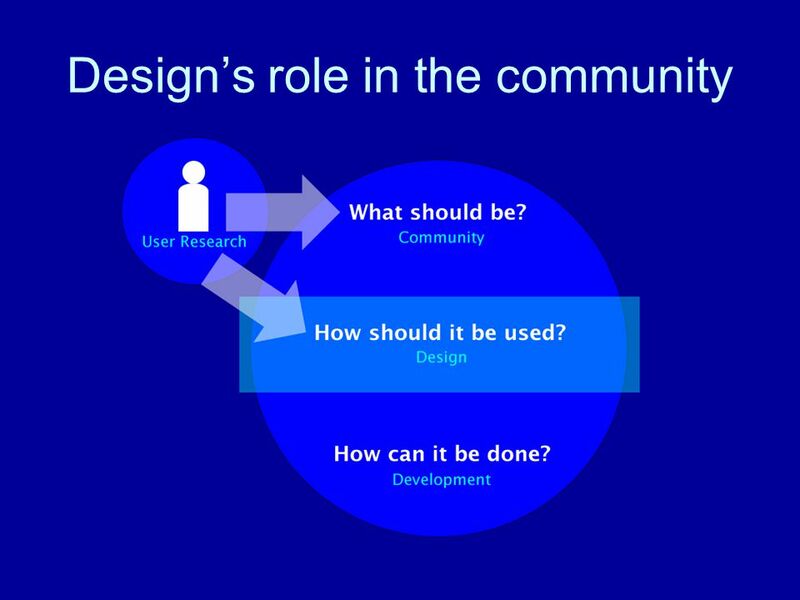 16 uP3 User Experience User Research Analysis Design Concepts User/Usability Testing Observation Hypothesis Test/Validate What does UCD do? 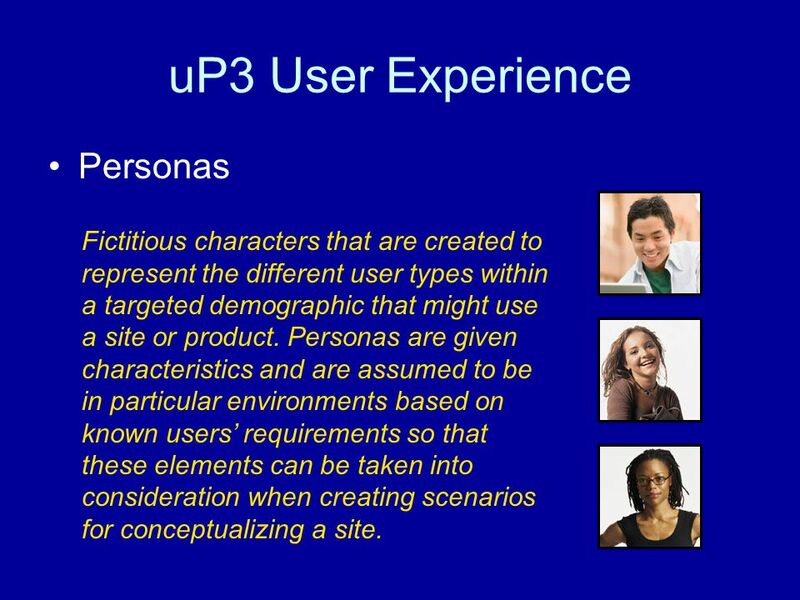 18 uP3 User Experience Personas Fictitious characters that are created to represent the different user types within a targeted demographic that might use a site or product. 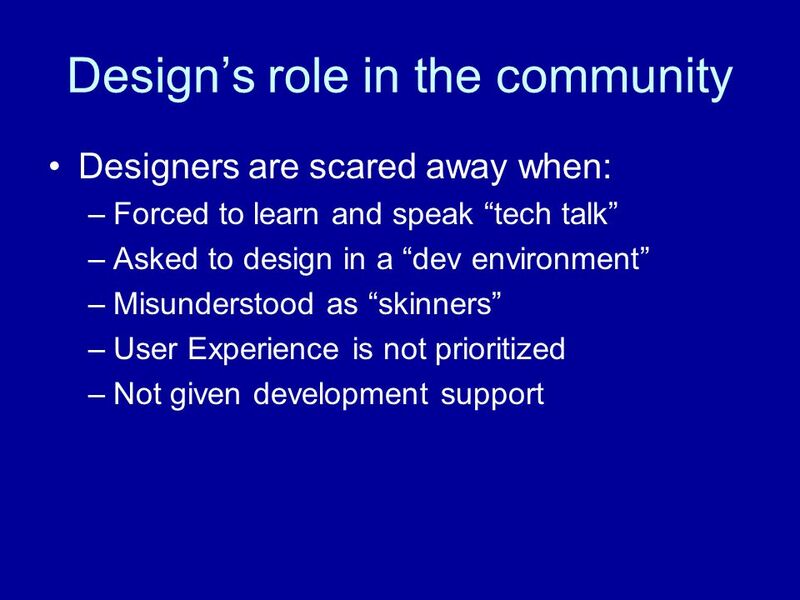 Personas are given characteristics and are assumed to be in particular environments based on known users’ requirements so that these elements can be taken into consideration when creating scenarios for conceptualizing a site. 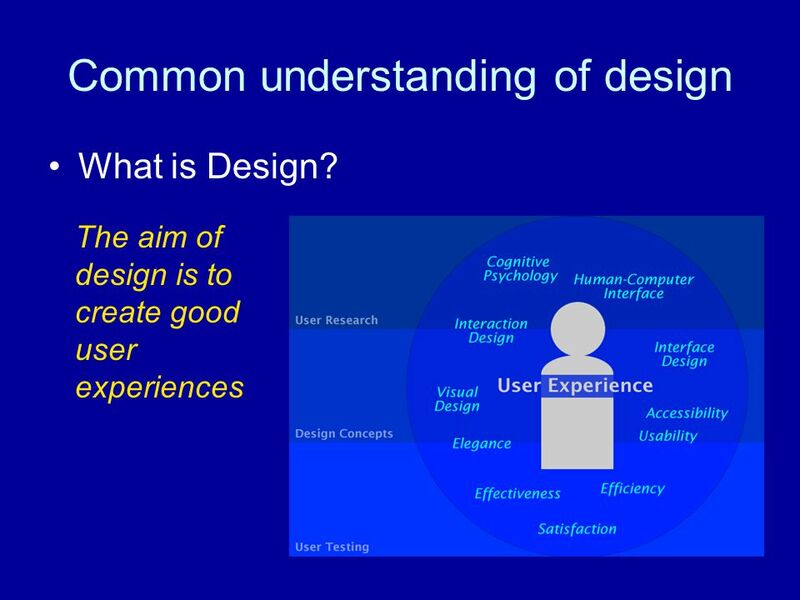 20 uP3 User Experience Heuristic Analysis Usability Heuristics are a set of industry-defined principles that govern good design. 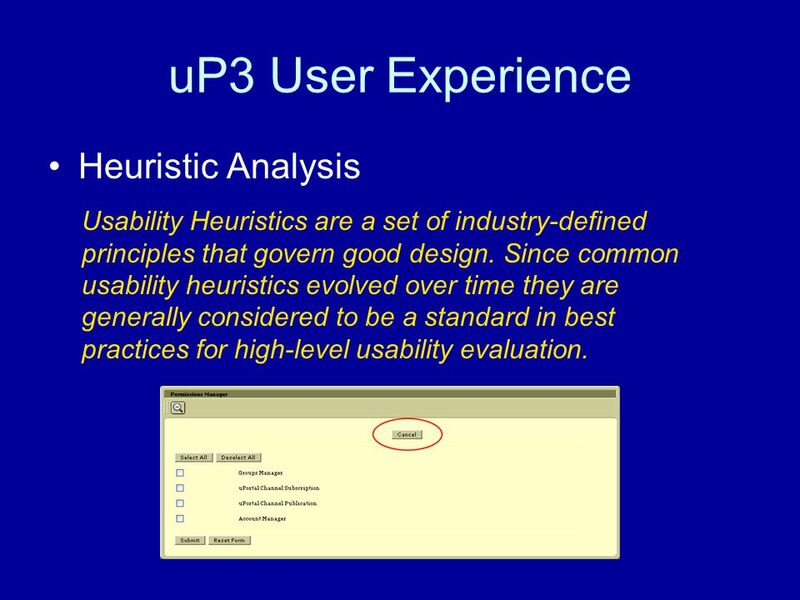 Since common usability heuristics evolved over time they are generally considered to be a standard in best practices for high-level usability evaluation. 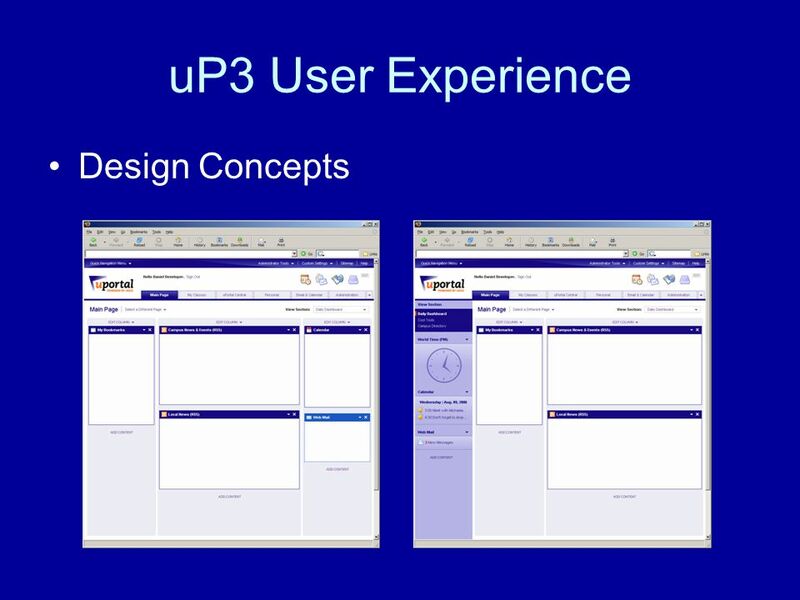 Download ppt "UPortal 3 User Experience A Designer’s Perspective." Ulrich Frank, Stefan Strecker Information Systems and Enterprise Modelling research group ICB Institute for Computer Science and Business Information Systems. 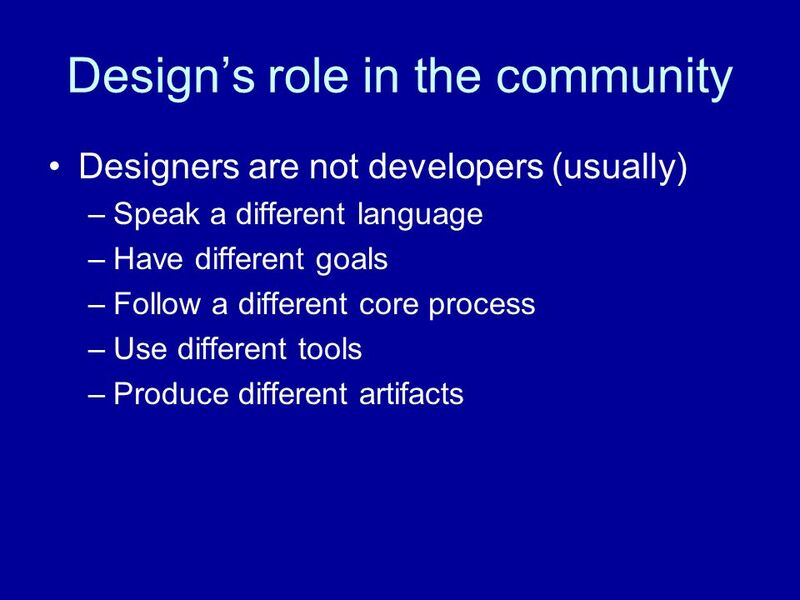 Structured Design The Structured Design Approach (also called Layered Approach) focuses on the conceptual and physical level. As discussed earlier: Conceptual. 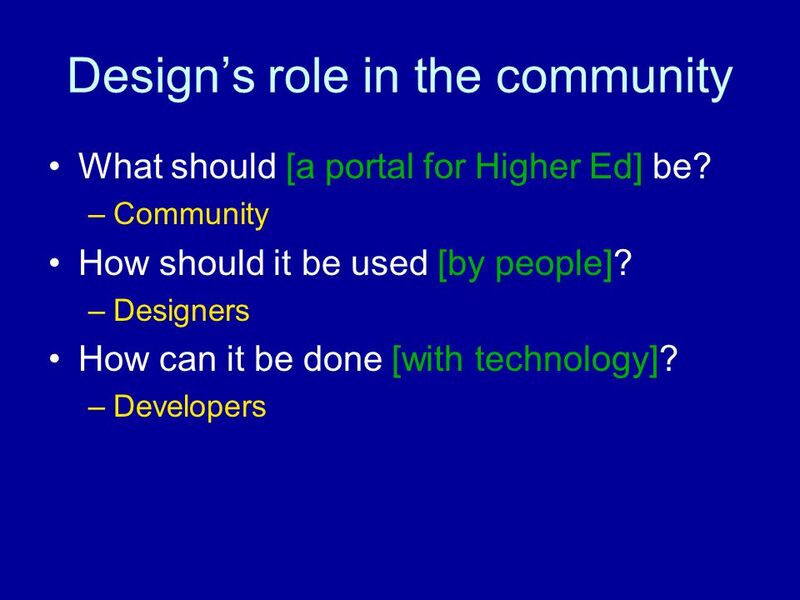 Team Skill 5: Refining the Use Cases Lecture 11. 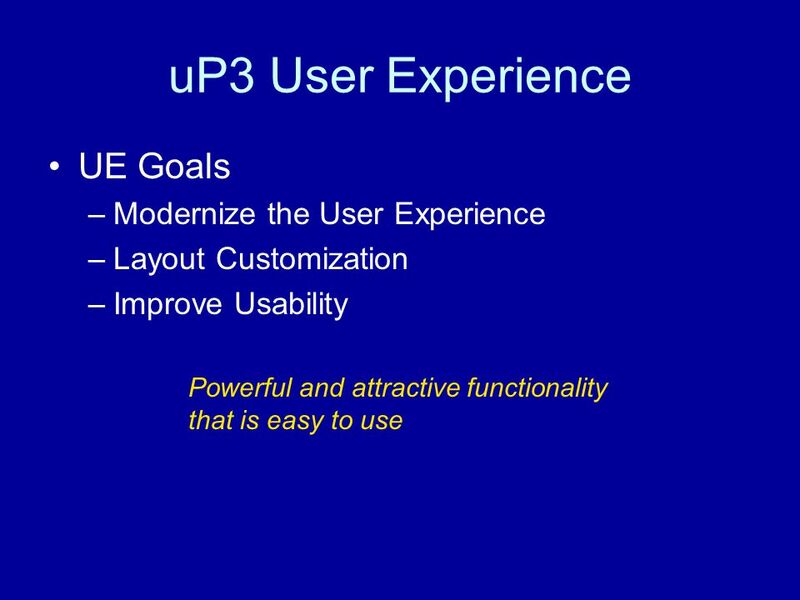 Advantages of Use Cases They are easy to write Written in users language Provide cohesive, related threads. 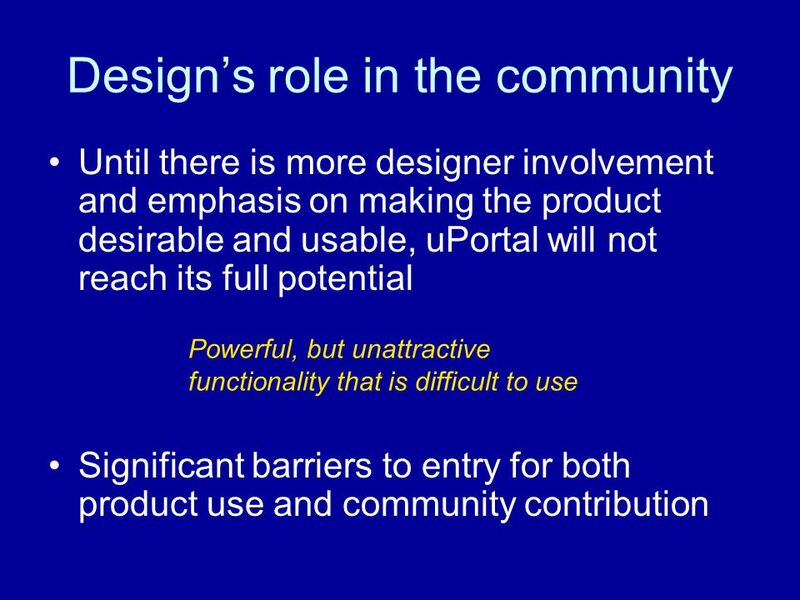 Maura Bidinost User Experience Designer Omnyx LLC Usability: A Critical Factor in the Successful Adoption of Digital Pathology for Routine Sign-out. 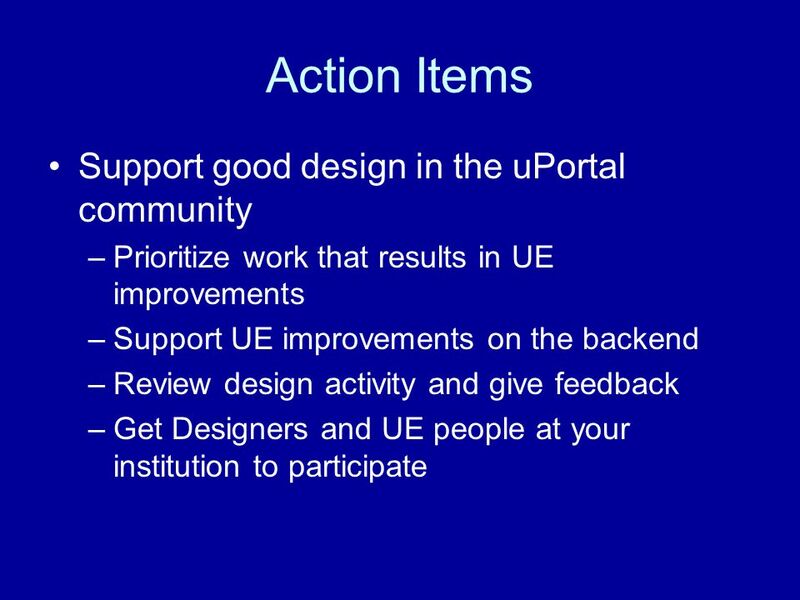 Activity Design Goal: work from problems and opportunities of problem domain to envision new activities. IS214 Recap. 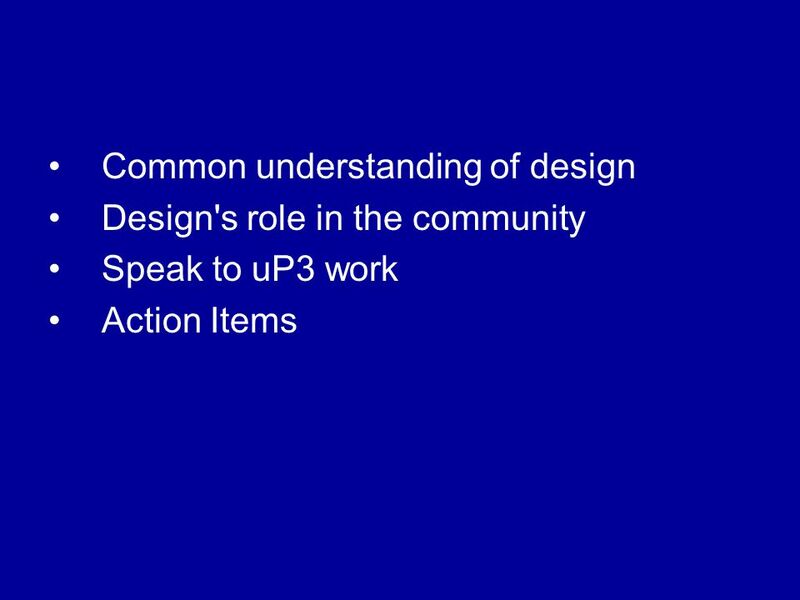 IS214 Understanding Users and Their Work –User and task analysis –Ethnographic methods –Site visits: observation, interviews –Contextual. Snejina Lazarova Senior QA Engineer, Team Lead CRMTeam Dimo Mitev Senior QA Engineer, Team Lead SystemIntegrationTeam Telerik QA Academy Telerik QA Academy. 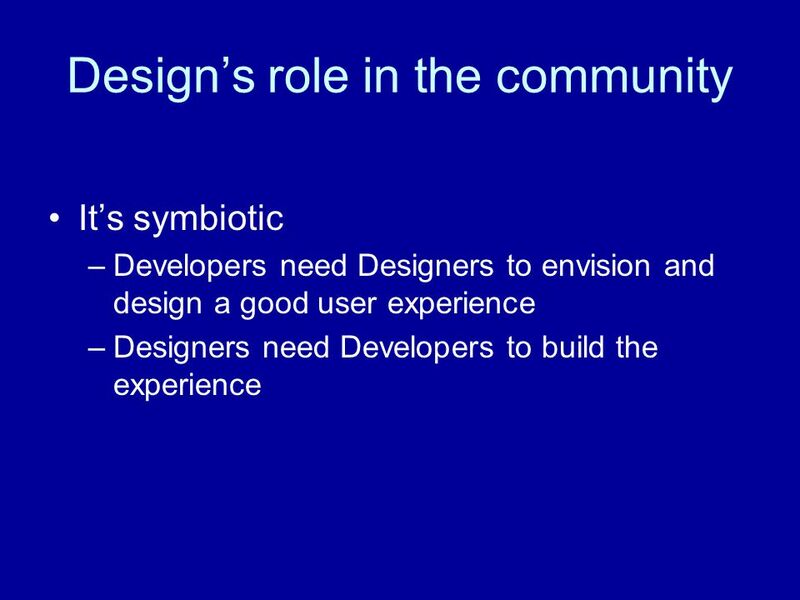 Meta-Design, Participative Software Systems, and Web Contribution - Daniela Fogli Dipartimento di Elettronica per l’Automazione Università degli. 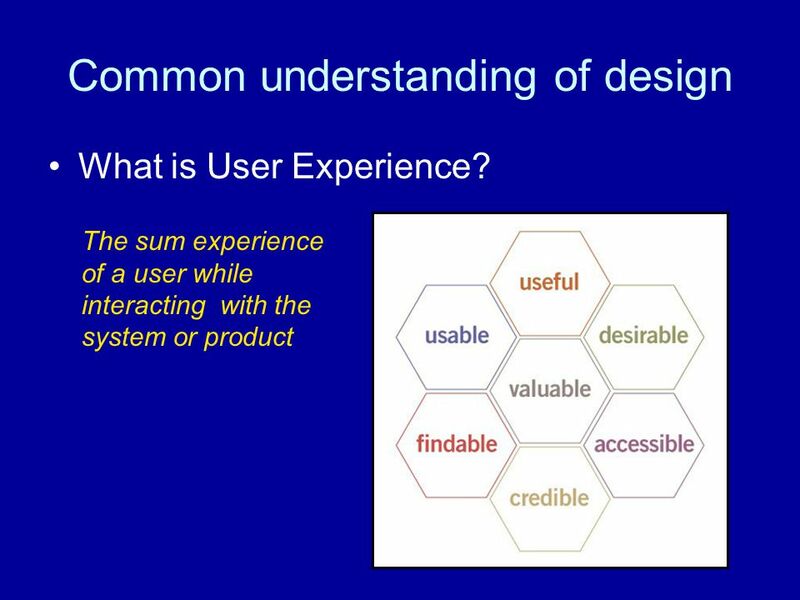 Requirements Analysis CS 414 – Software Engineering I Donald J. Bagert Rose-Hulman Institute of Technology January 7, 2003. Ch 11 Cognitive Walkthroughs and Heuristic Evaluation Yonglei Tao School of Computing and Info Systems GVSU. ‘Building Bridges’ An innovative tool to capture small health behaviour changes; the development process. Mills, H., Uphill, M., & Weed, M. Introduction. 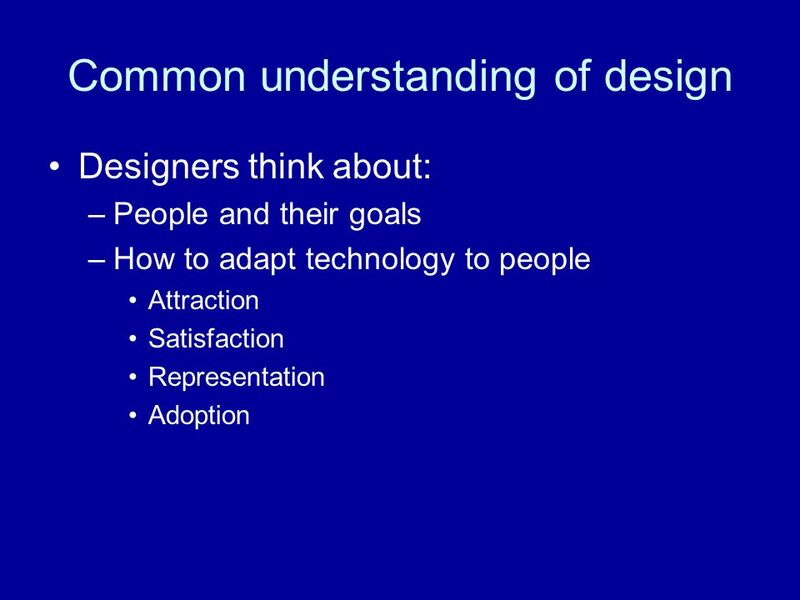 User-Centered Design: The Key to Adoption Gary Thompson JA-SIG Summer Conference, June 24-27, 2007 © Copyright Unicon, Inc., This work is the intellectual. Usability presented by the OSU Libraries’ u-team. Seminar Pemasaran Seminar Pemasaran Konsep Marketing. 1 Overview of Usability Testing CSSE 376, Software Quality Assurance Rose-Hulman Institute of Technology April 19, 2007. 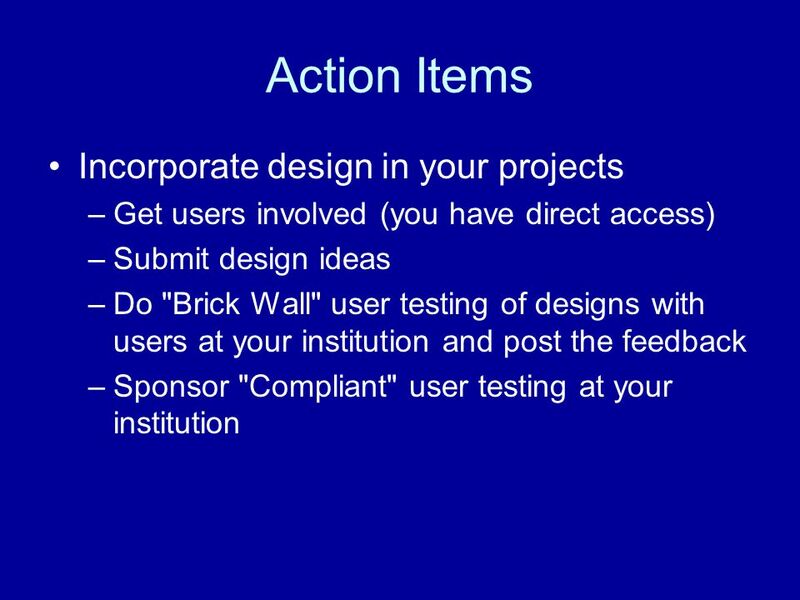 User-Centered Design: The Key to Adoption Gary Thompson JA-SIG Summer Conference, June 24-27, 2007 © Copyright Unicon, Inc., 2007. This work is the intellectual.